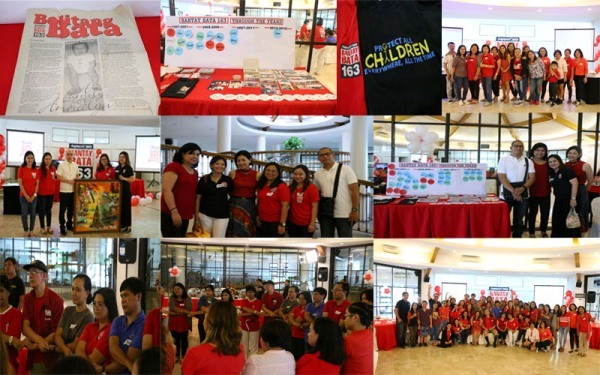 Behind the milestones of ABS-CBN Lingkod Kapamilya Foundation, Inc.’s child-care program are the unsung heroes in the backroom; some already left while some chose to stay. 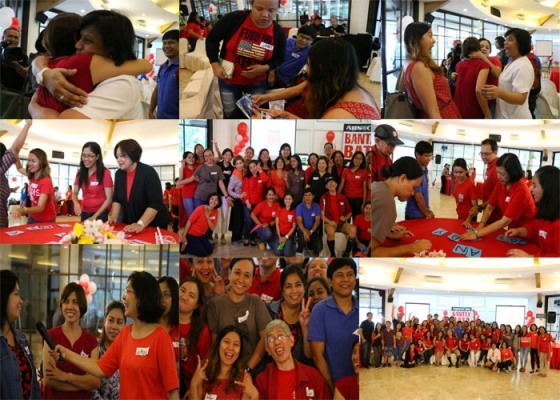 The program recently spearheaded the Balik Bantay Bata 163 event to gather its employees then and now. As they arrived in the Corinthian Club House, the exchange of tight and warm hugs are genuine enough to catch up with everyone who become part of Bantay Bata 163 journey. Bantay Bata 163 workforce came from various roles: Hotline 163 social workers who take calls and assist child-abuse related reports, social workers who respond to rescue, provide aftercare and scholarship program, caregivers who take care of children in the shelter, resource mobilization officers who seek funds for the program, medical team who assists the daily walk-in patients and the production team responsible for airing the stories. They have different roles, but their hearts speak as one, “I’m proud to be part of Bantay Bata 163”. “Ang duty ko noon sa hotline, 1 to 10pm. Naka-receive ako ng call 9:59pm, so kung hindi ko nasagot yung tawag na yun, kung umuwi ako kaagad, hindi ako naka-save ng buhay ng bata”. -Arnita Delos Reyes, Former Hotline 163 Social worker, 5 years in service. “Nag start ako sa BB as volunteer, doon ko naranasan kung paano yung Bantay Bata.Ang mga bata pag nagwawala o sinusumpong, sabay- sabay kaya dapat marunong kang magpatahan”. –Loreta Ann Trinidad, BB Medical Unit Supervisor. “Dito ko nalaman yung pag-aalay ng sarili sa mga taong hindi kayang gantihan ka”.-Joan Villafuerte, Former BB163 Reporter/Writer. “Nasa amin lahat sa post production after i-shoot, pag nag-eedit ako ng medical stories, minsan mag-isa naiiyak ako”.-Ochie Hilado, Former Post-Production Supervisor, 18 years in service. “Nung andun na kami sa lugar napakadilim, may kahon, may kulambo at box, nung nakuha namin, bata pala napakaputla. Si “Jessie’ yung boy in the box, yun yung first rescue sa Bantay Bata”- Gelai, Former Bantay Bata staff, 12 years in service. “ For you to become a social worker you must experience the feeling of your clients. Kung hindi dahil sa Bantay Bata hindi ako magkakaroon ng confident na magturo, ngayon isa na akong teacher.”-Hazel Cometa, Former Bantay Bata Social Worker, 8 years in service. Stories of courage, sacrifice, unconditional love and priceless experience are testimonies of how Bantay Bata 163 program has created a huge impact in the society and helped change the lives of many children for almost two decades. It seems like a recollection of history when some of the pioneers of the program shared their indelible experience with the program. Some shared their Bantay Bata 163 experience with honor and pride, others dramatic, while others cried. But their colorful stories are priceless. Bantay Bata 163, as the only media-based child-care program in the country continues to evolve in the service of the Filipino children. Bantay Bata started its operation on the latter part of 1996 while finalizing its national hotline number 1-6-3. The first rescue was done few days before Bantay Bata 163 officially launched on the Valentine’s day of 1997.